Running for me has always been a mind game. I tell myself that I can’t and so I don’t. I tell myself I’m slow, so I am. But change is in the air my friends. When I ran my first (and only) half-marathon my goal was just to finish. I had battled an upper respiratory infection the two weeks before it so my time was very negatively affected. I ran it in 2:45 at roughly 12:20 minutes/mile. Turtles can run faster 😉 BUT I finished and that was my goal. 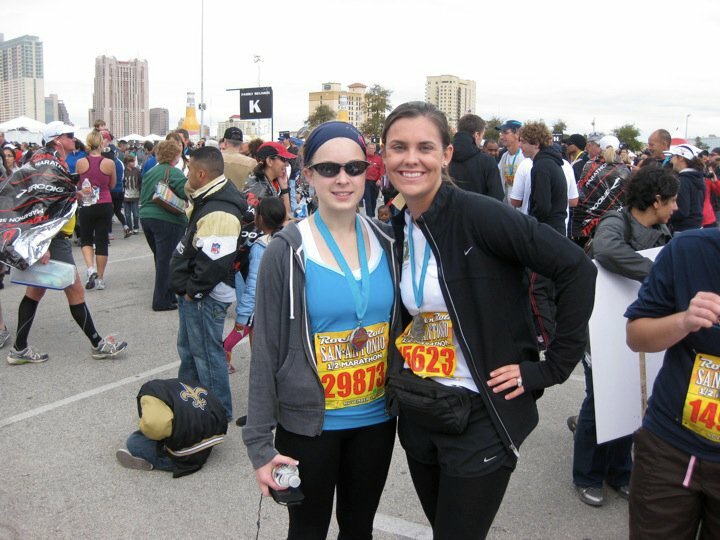 Two months later I got pregnant and my hopes for a February 2011 half marathon were put on hold. After I had Emmie in October I began looking for a new race to conquer. I decided on the Go! St. Louis 1/2 Marathon in April 2012 and I couldn’t be more excited! This time I have set a goal of 10 minutes / mile and at first that self-doubt started creeping in saying there’s no way you can do it. But guess what? I ran my first sub-30 minute 5K yesterday. I averaged 9:36/mile! For some of you speed-demons that might seem a snail’s pace but for me it was amazing. And hard. Haha. Around mile 2 I started to mentally think I needed to slow down, that I couldn’t keep that pace. My head was telling me I couldn’t but my legs and heart were telling me I could. 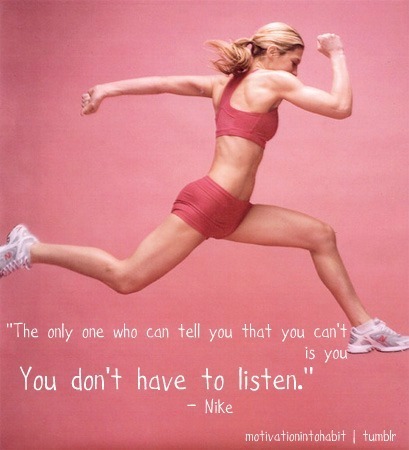 I chose to ignore that whiny voice in my mind and let me legs carry me to the finish. Overcoming that internal Doubting Debbie was a huge step for me. A step forward to believing in myself as a runner and athlete. I learned that I could do a lot more than I was giving myself credit for. I learned that I can push myself harder. And it feel good. Have you doubted yourself and realized you could do more? **I have been getting some questions about my 1/2 marathon training. I am working on getting a post together soon!